At McGregor PACE, it is our job to support seniors and give peace of mind to the individuals who care the most for them. We strive to improve the quality of life for seniors in the Cleveland area by allowing them to remain in their community while receiving the help that they need. The PACE, Program for the All-Inclusive Care of the Elderly, program is a nursing home alternative that provides for the long-term medical, social and personal care needs of seniors with in-home care or with care in our adult day health centers. The PACE program keeps your loved ones at home while getting them the care and support they need. With your loved one enrolled in the PACE program, you'll have peace of mind knowing that they'll be well taken care of while you're at work. The PACE program keeps your loved one living in the community by giving them the support they need to remain in their home. Our team of specialists creates an individualized plan to best fit the needs of your loved one in the PACE program for seniors. Deciding to put your loved one in a care facility can be an extremely difficult decision; however, many times there is no alternative because the proper level of care cannot be given to them at home. 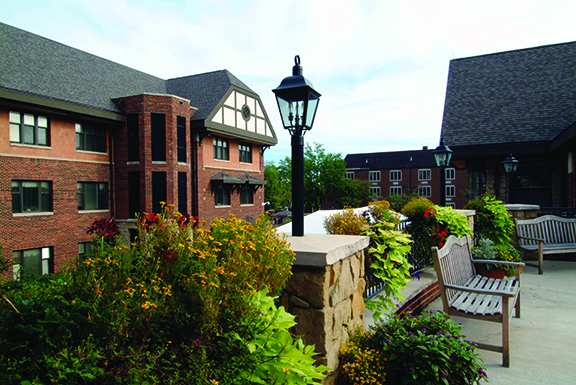 McGregor PACE is a great alternative for a nursing home, and it allows participants to live at home. Participants in our PACE program will be welcomed into our community and will receive the medical, rehabilitative, social and personal care that they need while still living at home. Your loved one can join our inclusive and accommodating community, and you can have peace of mind knowing they are being well taken care of. Can safely live in the community. Does your loved one fit these requirements? Start the enrollment process today!